Blogger outreach generally involves connecting to sites in order to develop mutually beneficial relationships by contributing content. 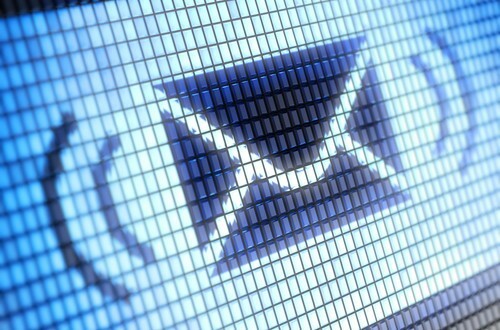 In order to start developing the relationship, there first has to be initial contact, mostly done through pitch emails. 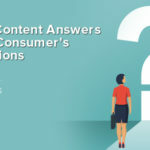 While connecting to bloggers can uniquely vary, there are common pitfalls to avoid when outreaching for guest post inquiries. Below are 3 actual pitch emails sent to the CopyPressed blog email address and what you can learn from them. Personalization in the form of addressing the recipient’s name or even the blog’s name goes a long way in getting your email noticed. 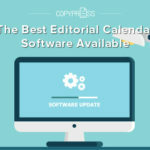 In the above example, the email sender failed to address a specific person from CopyPress or even the blog CopyPressed. The opening sentence vaguely mentions finding the blog’s recent article interesting, yet lacks any specific mention of the article’s title or subject. The notion that this is a template email is made clear when the email goes on to suggesting standard topics she would like to contribute to the blog — all of which have no personal connection to what CopyPressed covers. 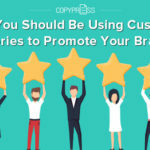 Tip: Even if you’re contacting a general email address, like info@copypress.com, addressing the name of the person who writes the most on the blog or even the blog’s “editors” is better than an empty “Hello”. To add even more personalization, be specific in name dropping the blog and article titles you’ve read if you’re initial comment is flattery. If what you’re pitching is not relevant to the blog you’re pitching to, then you’re not only wasting the blogger’s time but you’re also wasting your own time. This email example also opens with a generic “Hello” greeting, but makes up for the mistake by personalizing the subject line with the name of the blog. However, the overall vibe from this email is that it’s wholly irrelevant to CopyPressed. This blog is all about content marketing, not cooking or the least bit culinary related. Because this sender’s writing examples are all cooking/recipe related and the requested backlink is to a culinary school, responding to this email is a waste of time. Tip: When showing examples of your writing, make sure that they are completely related to the blog you’re pitching to. 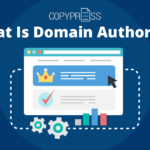 Example posts are supposed to convince the blogger that you’re not only an experienced writer, but also a knowledgeable voice in the blog’s specific industry. Bonus tip: if the backlink is not relevant to the blog, then there is no real inbound marketing benefit for the guest poster. If you neglect to specifically address what the blogger receives in return for publishing your guest post, then really you’re pitching to use the blogger in a one-sided relationship. The above example is a follow-up pitch, where the initial pitch was almost an identical template. While this email is also guilty of the first two pitfalls, the main mistake is completely leaving out any kind of benefit for the blogger. The sender lists 5 writing examples — most of which are irrelevant– as the body of the email and leaves it up to the blogger to connect the dots on how this type of writing will benefit the site. Tip: When including example links to previous guest posts you’ve written, make sure you explain why offering quality content like the examples will benefit the blogger. Talk in terms of how your new topic will add to the blog and the benefit of the new traffic and social promotion your post will stir. Be human: Add personal touches to your email to let the recipient know you’re not just a spam robot sending out hundreds of template emails. Include the recipient’s name and the blog’s name or recent article titles within the pitch. Do your research: Take the time to read recent posts from the blog you’re pitching in order to make your pitch relevant. Include your previous guest post example links to similar topics that are discussed in the blog when you discuss related topic ideas to write. 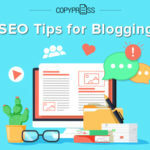 Offer a mutually beneficial relationship: While including a personal backlink within the guest post is the obvious benefit to a guest poster, the benefits to the blogger should also be clearly outlined in the pitch. Openly address that you are offering quality content — and not as a one time deal — and new traffic to the post and overall site. Ideally, this traffic will lead to social media promotion for the blog and reader engagement via comments and shares. The overall rule of thumb in raising your chances for your pitch email to be opened, read, and answered is asking yourself if you would realistically reply to the email. If the answer is no, then refocus your efforts on effectively communicating in your email what these three pitch examples lacked.